The microbiological revolution is improving forage quality and cow health. Chloe Palmer attends an event hosted by EnviroSystems to hear how soil biology is the essential ingredient. Ensuring the soil can support a strong biological component is key to high quality forage and a healthy cow, farmers heard at an event in Staffordshire. “You are what you eat and it is the same for a cow,” says David Lievesley, who along with James and Jonathan Pickford, runs Picston Holsteins at Spot Acre Farm, near Stone, Staffordshire. Mr Lievesley was joined by David Law, managing director of the New Zealand-based Forward Farming Biological Consultancy, and both explained how they believe many of the disease problems seen in the modern dairy cow are linked to deficiencies in the soil, passing through to forage. “All cows are built on calcium and we send a tank of calcium off the farm each day. What are we doing to put it back?” Mr Lievesley asked. Mr Leivesley pointed to cows giving more than 10,000 litres each year and whenever they are stressed, they will take calcium from their metabolism. “If the forage passing through the rumen is not calcified, the cow cannot buffer herself. If the forage comes from a soil with a lower pH and a lack of calcium, its composition will reflect this because you will never make an alkaline forage from an acidic soil. “We are seeing replacement rates in dairy herds now in excess of 30 per cent and this is not acceptable. Some of the causes of this can be traced back to the soil,” Mr Lievesley said. Pointing to a clamp of 2016 silage, Mr Lievesley described the characteristics of a good crop of silage. “When compressing silage in the hand it should spring back because this is what it will do in the cow’s rumen. It should be reasonably dry and should contain plenty of fibre to provide the springiness. Mr Lievesley highlighted the 14kg dry matter from silage which cows should be consuming each day and this should give them 70 per cent of the nutrients and minerals they need. 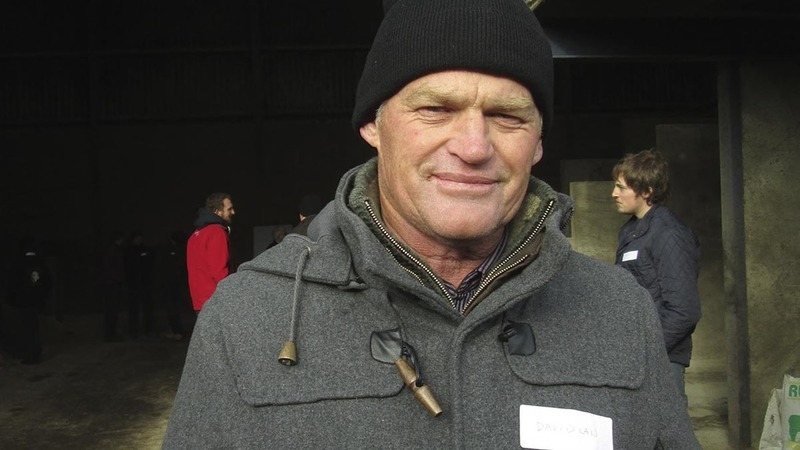 At Spot Acre Farm, the grass silage is supplemented with home-grown wholecrop oats, lucerne and red clover, but the soil they are produced from strongly influences the feed content of these feedstuffs, Mr Lievesley said. “Lactic acid will make silage but it will not run a cow. 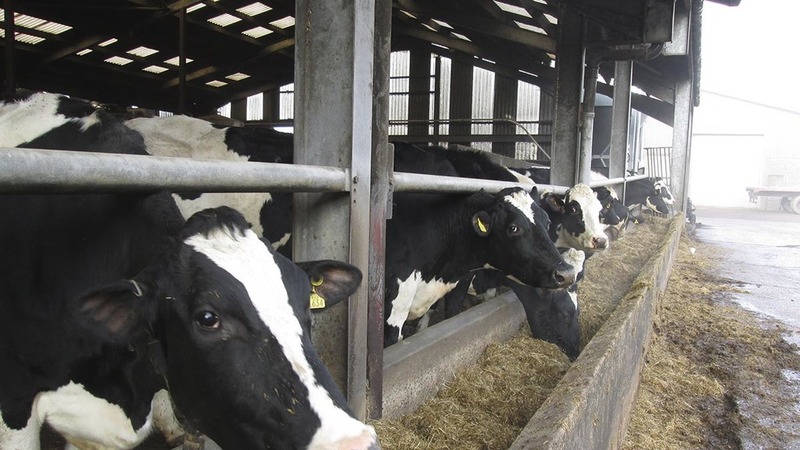 If the silage contains too much lactic acid, it will reach the muscular system and adversely affect locomotion,” Mr Lievesley said. Mr Lievesley describes the ‘open coated cows’ he observes suffering weight loss at turnout and said this reflects a diet in ‘an unstable state’. “Cows need iodine for fertility and they require selenium to form white muscle tissue around the heart and the pelvic girdle to help to prevent retained cleansings. The selenium, along with zinc also supports their immune system,” Mr Lievesley said. The content of the slurry produced by the cows is linked to the diet and the soil according to David Laws and he examines slurry lagoons, or ‘ponds’ as they are called in NZ to appraise the overall health of the system. He said: “I look at the end of the system to find out the answers to the rest of it. Where you have a thick crust on the pond, it is the undigested feed, the fibre. If the slurry has a low pH, I know the soil growing the forage has a low pH. Both speakers reinforced the importance of maintaining an aerobic system which encourages the presence of the desirable bacteria. Using organic manures broken down by a diverse, functioning soil fauna encourages plant roots to grow down to access the nutrients and minerals they need, according to Mr Laws.